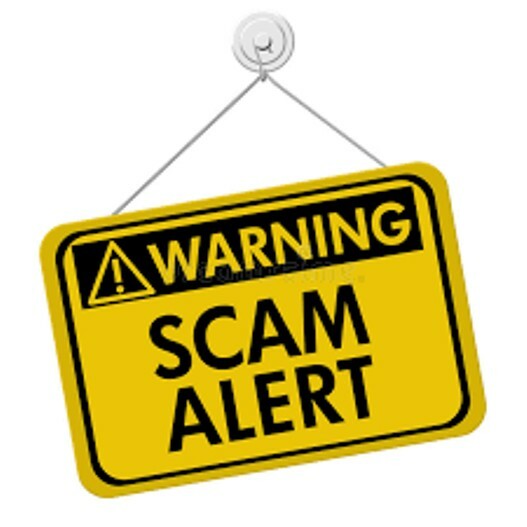 Jammu, April 15: In the wake of imposition of Model Code of Conduct due to Lok Sabha elections, ‘impatient’ Agriculture Department has reportedly ordered premature transfer of many officials, especially those officials who had been just transferred a month ago. Sources told Cross Town News , just days ahead of imposition of MCC, Agriculture Production Department issued series of orders including 60/Agri of 2019, 61/Agri of 2019 and 62/Agri of 2019, dated 01-03-2019 and 68/Agri of 2019 dated 07-03-2019, transferring almost 165 officers. However, in the list of officials transferred, over 40 officers/officials were transferred just within a month of the earlier transfer, thus raising questions over transparency and credibility of the orders on te part of Govt. It added that the transfers were made to accommodate blue-eyed candidates at their bastion to flourish. 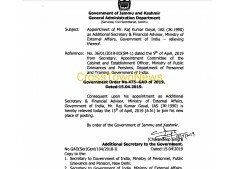 “Some blue-eyed persons including RS Jamwal-SDAO Marh and Ashwani had been transferred to Kishtwar and Dharmari respectively, vide G.Order no. 57/Agri of 2019 dated 22-02-2019 but within a week their transfer orders were modified and they were brought back to Jammu,” sources said. Similarly, Raman Kumar Gupta SCA Dyalachak, RC Thusoo SCA, Virender Dogra SCA, Aman Jyoti SMS III transferred vide Govt order no. 60Agri of 2019 dated 01-03-2019 and the orders were modified within six days and they were retained at their actual place of posting vide Govt order 68Agri of 2019 dated 07-03-2019. Sashi Kant Gupta Assistant Soil Conservation Officer Poonch transferred as Assistant Engineer Chinore vide Govt order no 61Agri of 2019 dated 01-03-2019 but surprisingly the order was modified the order and posted him as ASCO Rajouri vide Govt order no 68 Agri of 2019 dated 07-03-2019 within six days. It aded that the posting of gazetted officer in Command Area Development is on deputation basis from parent department i.e Agriculture, for a maximum period of 3 years. “Firdous Ahmad Tak (ASCO-RRD-CAD-Jammu) had already worked in CAD Jammu under different capacities. 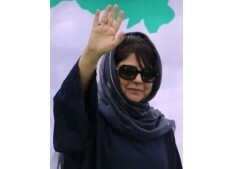 He had worked for 8 years in CAD Jammu, including three years as SCA Supwal and five years as ASCO Sarore,” said sources, adding that despite giving more than stipulated period on deputation, the said officer has been again offered with choice posting as ASCO-RRD-CAD the order of transfer was premature , which is again in violation of deputation term rules. Pertinent to mention here that Firdous Ahmad Tak was posted as ASCO-RRD-CAD replacing Ashok Kumar Malhotra ASCO-RRD-Jammu to Rajouri District who is on the verge of retirement on 30-09-2019 and he was forcefully transferred just after one year and two months which is premature. Mukesh Khajuria DAO (Ext) Rajouri who has been transferred to Rajouri vide govt order 40Agri of 2018 dated 16-02-2018 was brought back to Jammu as ASCO-CAD-Jammu vide Govt order no. 61Agri of 2019 dated -1-03-2019 just after one year. Meanwhile aggrieved employees of the Agriculture Department appealed the Governor of the state and concerned Advisor to the Governor to look into the matter and issue necessary directions for inquiry into the matter of premature transfers done by the Agriculture Production Department during the month of March and cancel all these premature transfer orders issued by the Agriculture Production Department.